Made from beautifully machined 6061-T6 aluminum. 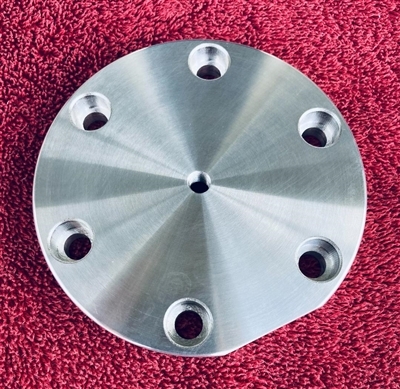 This cap has a machined flat spot for angled case clearance. 6 hole bolt pattern with small counter-bores on front face to conceal possible bolt galling.